Just Dance titles are some of the few games that allows me to conquer my anxiety around crowds. There have been numerous times where I have taken my daughter to various expos, and it’s always the Just Dance booth that we visit. We get up and look like complete idiots in front of everyone. On the surface, this is what Just Dance is to its core, a party game that breaks down the inhibitions in people and just let them be themselves around others. Related reading: For people that like singing, rather than dancing, there's We Sing. Matt reviews that one. I completely missed 2017, due to my fading interest in the Wii U (my preferred Just Dance platform), by 2018 has definitely sucked me back into the franchise. Already I can feel the weight being stripped away as I dance around in my lounge room. 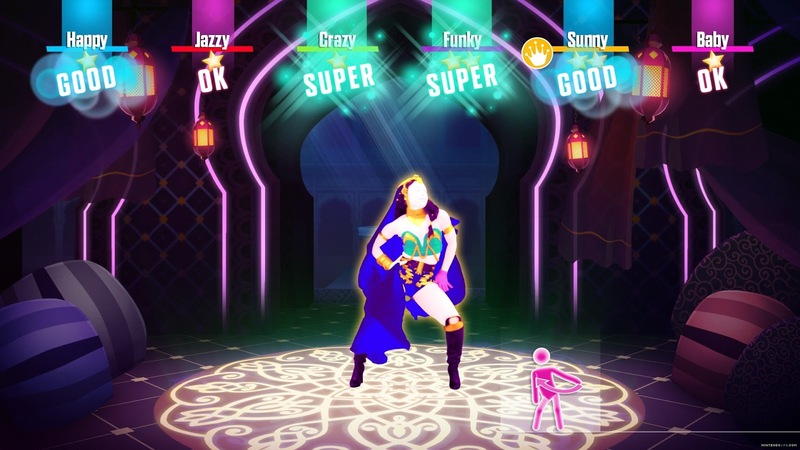 For anyone living under a rock, Just Dance takes elements from rhythm games such as Rhythm Heaven and mixes them with the exercise aspect of Wii Fit, mashing them together to create a game where the primary goal is to simply mirror the dance choreography being performed by real dancers on the screen. There’s a reason why these games are still being made for the original Wii; it's where the franchise got its start, and as party games they’re super popular, and make good use of motion control inputs. This latest iteration was pretty fun from the get-go, despite being only able to select 10 out of the 40-odd songs, but after a couple of dances they’re all unlocked for play. Previous games in the series always seemed to have that one huge hit song, married up with other recent hits and some old classics. Past games have used insanely popular songs as their main choice, including “What Makes You Beautiful”, “Starships”, “Happy”, and “Uptown Funk”. 2018 doesn’t really have that absolute smash song this year, with the closest song being Bruno Mars’ “24K Magic”. It’s popular, but just not that kind of popular where you hear it absolutely everywhere like in previous games. That said, there is one song that I need to mention purely because we hold the singer dear to our hearts here at DigitallyDownloaded.net. That of course, is “Love Ward” by Hatsune Miku. Beyond the Digitally Uploaded Podcast, I have to say that I’d never actually sat and listened to Hatsune Miku before. Clearly, I’m missing out, as I loved the hell out of that song. Between running a household, marking papers and reviewing games, I often forget to stop and think about happy things. Dancing to Miku brought a renewed sense of joy to my heart. 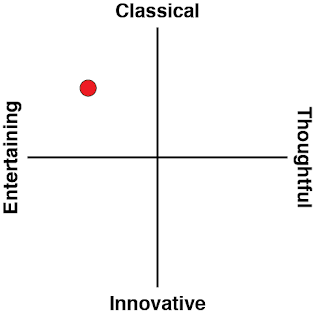 You can probably bank on me listening to more Miku in the near future. Or Ubisoft could just do what we all want, and produce a Just Dance just of Hatsune Miku music. 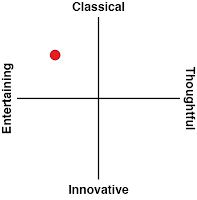 Playing through the songs offers an additional reward system that becomes pretty addictive the more it’s played. Playing songs earns coins, which can then be used in a gashapon machine to collect rewards. These range from different choreographies for songs, stickers to use on Dance Cards and additional songs. Minor missions keep appearing too that offer more coins in order to reach all of the prizes faster. For the most part, the choreographies in each song work well. On the PlayStation 4, gameplay can be done by using either a PlayStation Move (working exactly like the Wii and Wii U versions), the PlayStation Camera, or your mobile phone connected to a Just Dance Controller App. I don’t own a PlayStation Move, so I tried both the Camera and mobile phone app. The camera was just woeful. Not only could it not detect me half the time in my 5 metre long lounge room, when it did actually did detect me, it kept swapping me between different people in the room, thinking someone new had walked in. The phone worked just as well as a Wiimote would, except some of the choreographies required me to get down on all fours and put weight on my hands. This is something I’d just rather not do with my Xperia. There are other choreographies that require the player to spin around and take their eyes off the television. This has been common in many Just Dance games, and the same problem of not knowing when to turn back isn’t fixed at all (that's how timing works, Brad. It's a dance thing :-P - ed). Something I hadn’t seen before in a Just Dance game was the ability to go beyond five star performances. Players who are more coordinated and talented than the rest of us can get a Megastar rating for doing really, really well. Some of the challenges even require you to get the ultimate in dance scores, so luckily there are quite a few simple dances to attempt this on. A surprising part of the experience came in the form of a 3-month subscription to Just Dance Unlimited. 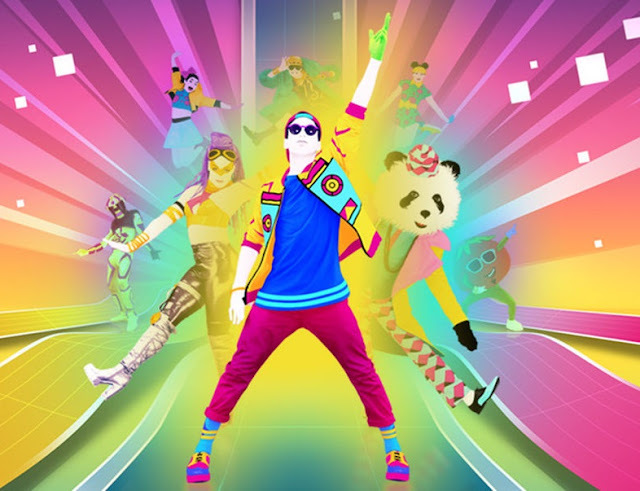 For 90 days, the game allows the player to access up to 300 extra songs, many of which came from previous Just Dance games. Sadly, my guilty pleasure of One Direction wasn’t there (it’s easy to five-star their songs), but the variety is pretty huge and any chance to boogie down to Outkast and the Ghostbusters theme is an instant thumbs up. I do feel like Asian Pop secion is under-represented at this point, and perhaps Ubisoft could release some of the Japan-only Just Dance tracks to the international audience to widen the appeal of Just Dance Unlimted. Choosing the Just Dance Unlimited songs does take a tad longer to load up since the video is being streamed to the PlayStation 4, which is only notable if you have a room of party goers itching to play instantly. The Just Dance franchise hasn’t grown a lot since its heyday, but it doesn’t need to. Most of the songs included are a lot of fun to dance to, even if pop music isn’t your thing. The gashapon reward system offers an incentive to keep dancing without making it feel like rewards are constantly out of reach. Grab a friend and clear the lounge-room, because it’s time to get addicted to dancing all over again.